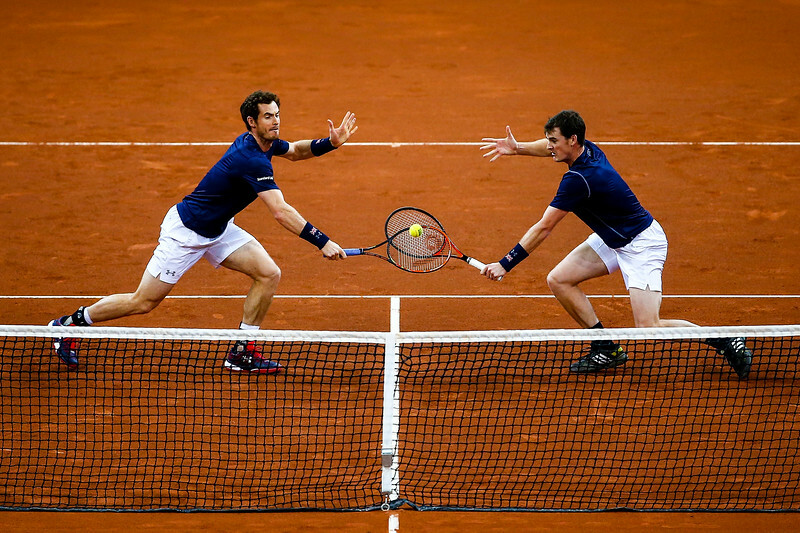 Andy Murray and Jamie Murray of Great Britain in action during day two of the Davis Cup Final between Belgium and Great Britain on November 28, 2015 in Ghent, Belgium. 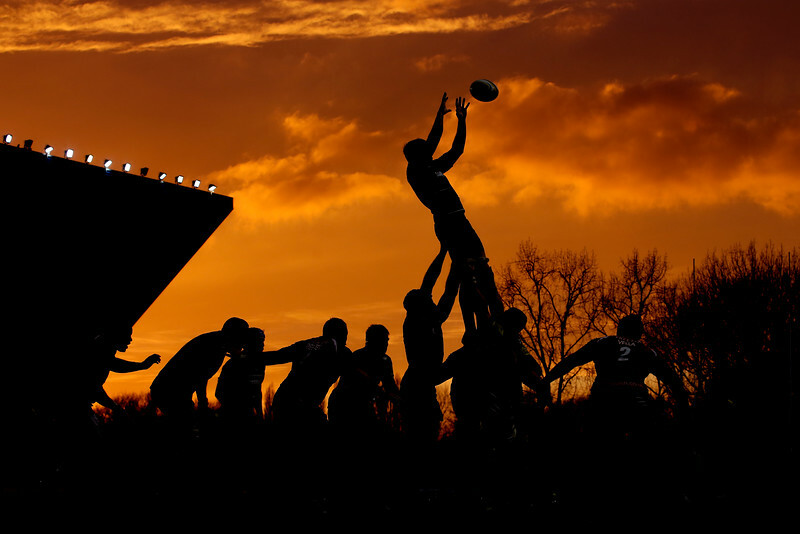 London Welsh and Leicester Tigers compete for a line-out during the Aviva Premiership match between London Welsh and Leicester Tigers at Kassam Stadium on November 23, 2014 in Oxford, England. 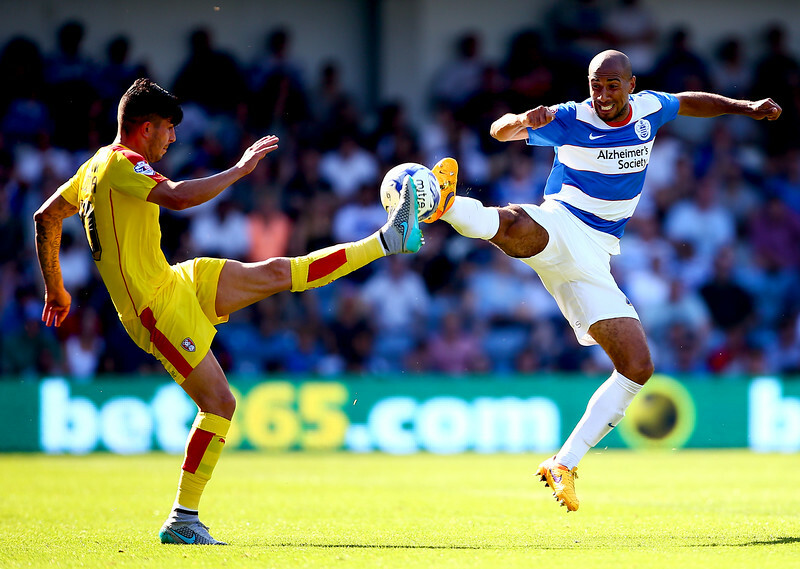 Karl Henry of QPR goes in for a challenge with Emmanuel Ledesma of Rotherham during the Sky Bet Championship match between Queens Park Rangers and Rotherham United at Loftus Road on August 22, 2015 in London, England. 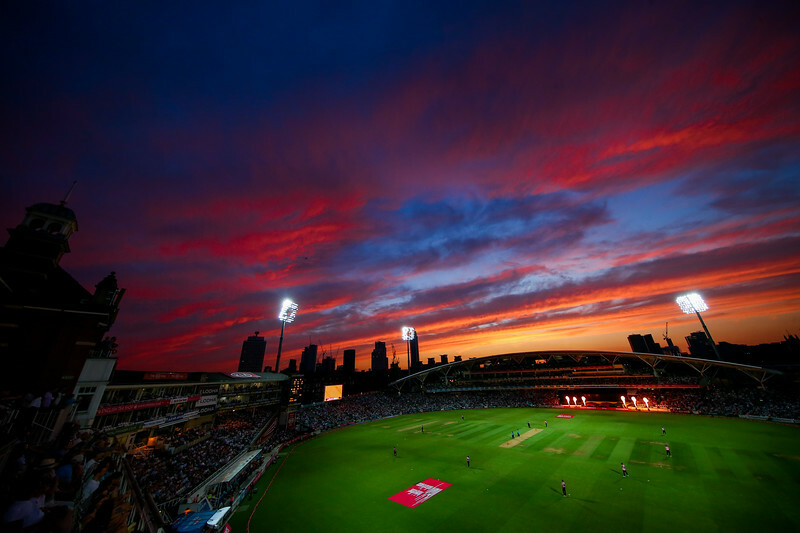 <> at London Stadium on July 21, 2018 in London, England. 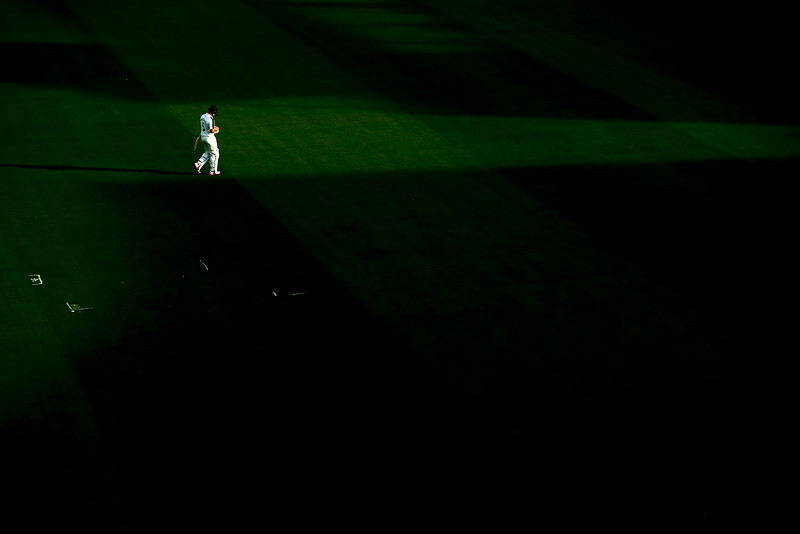 Novak Djokovic of Serbia celebrates match point in the round robin singles match against Tomas Berdych of Czech Republic on day six of the Barclays ATP World Tour Finals at O2 Arena on November 14, 2014 in London, England. 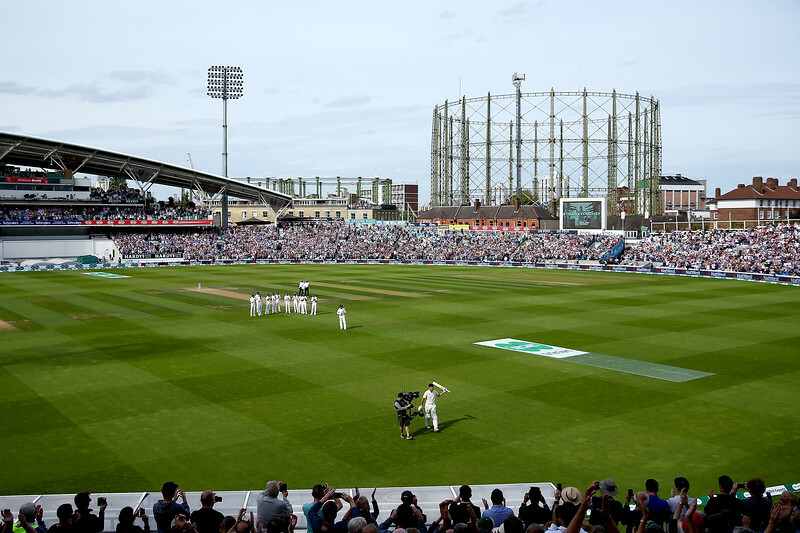 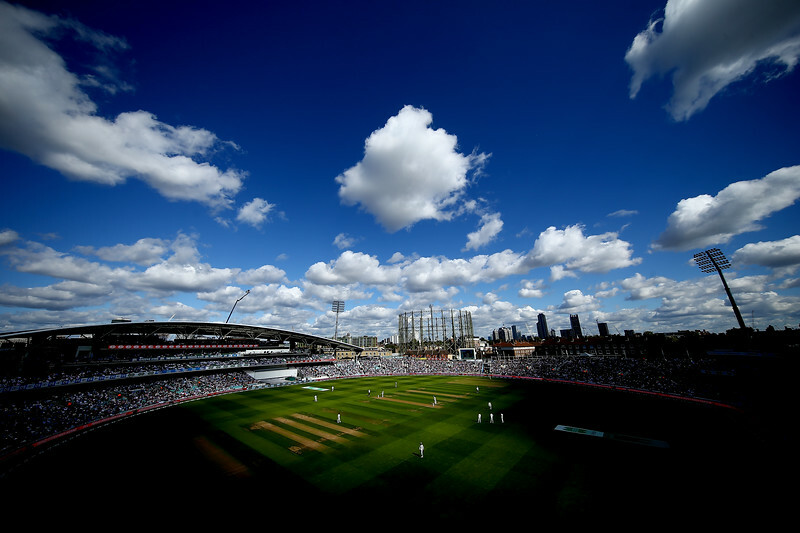 Steven Mullaney of Nottinghamshire leaves the field after being bowled out by Tom Helm of Middlesex during day two of the LV County Championship Division One match between Middlesex and Nottinghamshire at Lord's Cricket Ground on April 13, 2015 in London, England. 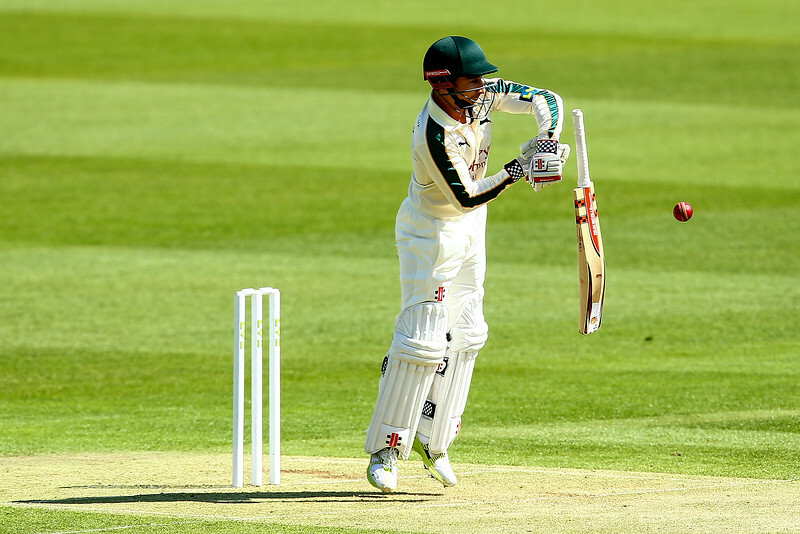 James Taylor of Nottinghamshire drops his bat as he hits out during day one of the LV County Championship Division One match between Middlesex and Nottinghamshire at Lord's Cricket Ground on April 12, 2015 in London, England. 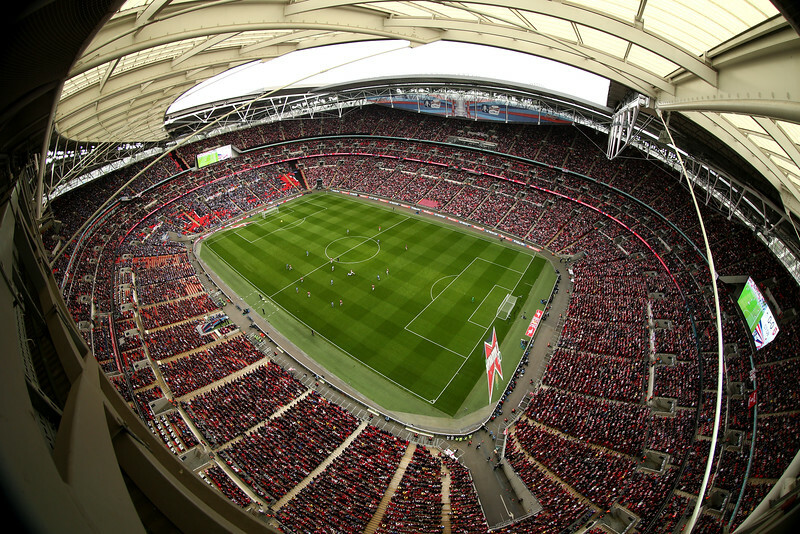 A view from the lighting rig of the FA Cup Semi-Final match between Wigan Athletic and Arsenal at Wembley Stadium on April 12, 2014 in London, England. 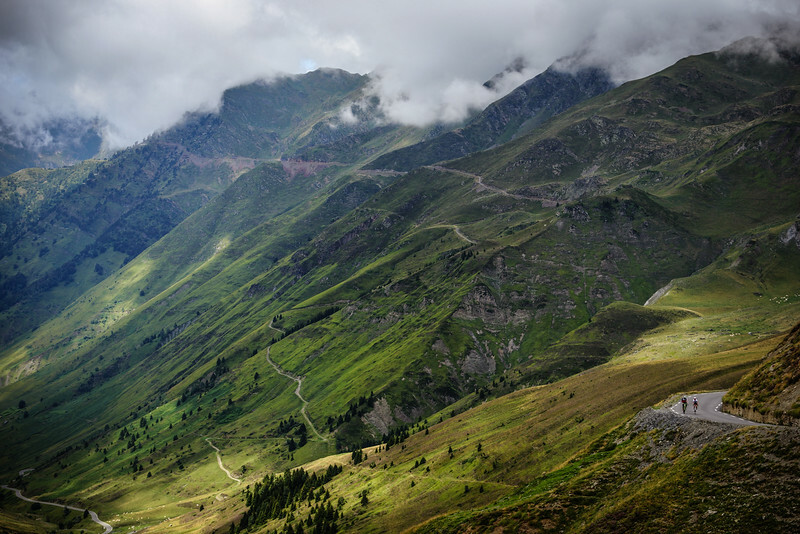 Participants make their way up the Col du Tourmalet in the Pyrenees during Day 3 of the Trois Etapes Tour 2015 in Hautes-Pyrénées, France on the 9th August 2015. 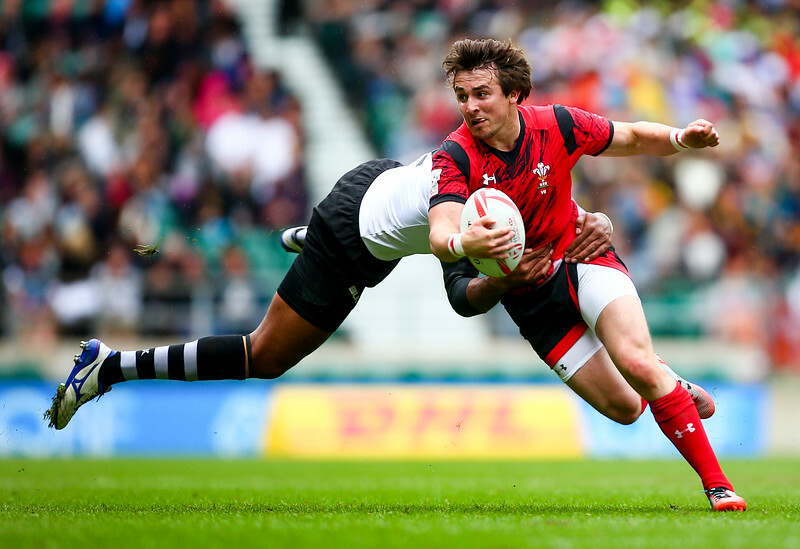 Luke Morgan of Wales is tackled by Jasa Veremalua of Figi during the pool match between Wales and Figi during day one of the HSBC London Sevens at Twickenham Stadium on May 21, 2016 in London, United Kingdom. 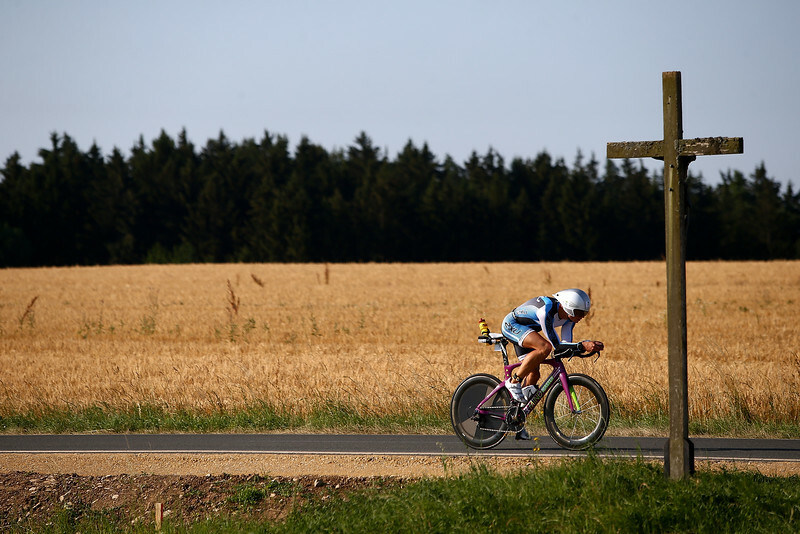 A participant competes in the bike leg of the Challenge Roth Triathlon on July 12, 2015 in Roth, Germany. 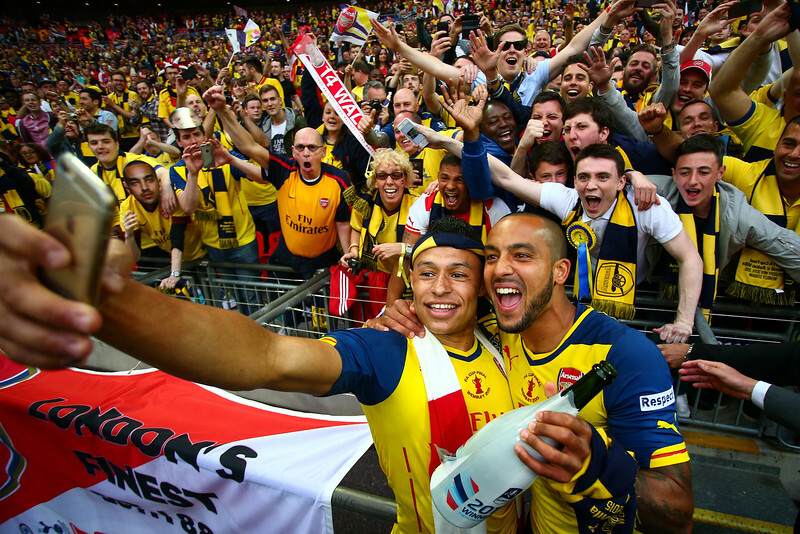 Alex Oxlade-Chamberlain and Theo Walcott of Arsenal take a selfie with fans as they celebrate victory in the FA Cup Final between Aston Villa and Arsenal at Wembley Stadium on May 30, 2015 in London, England. 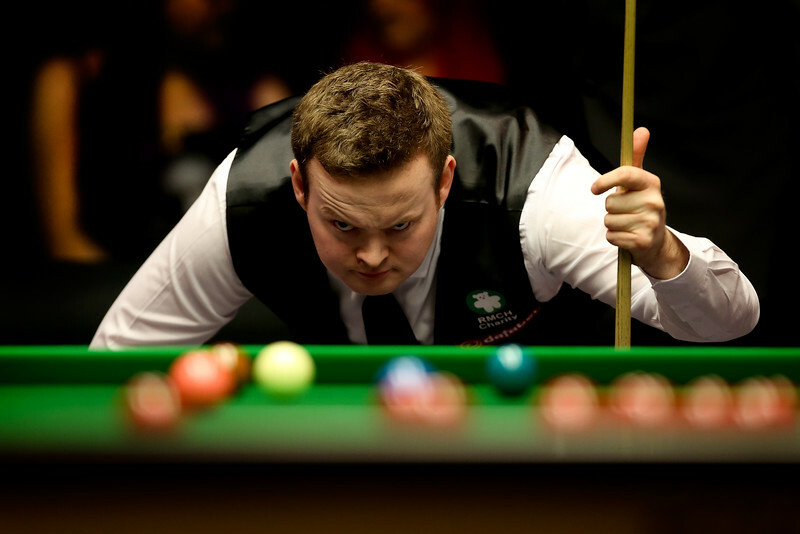 Shaun Murphy of England lines up a shot during his first round match against Mark Selby of England on day one of the 2015 Dafabet Masters at Alexandra Palace on January 11, 2015 in London, England. 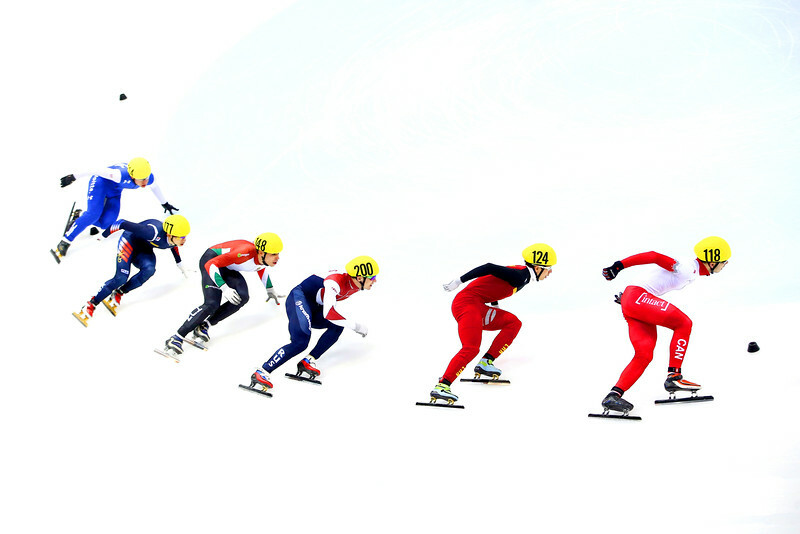 Samuel Girard of Canada leads the pack round the bend during the Men's 1500m (2) semi-final race on Day 2 of the ISU World Cup Short Track Speed Skating on February 8, 2015 in Dresden, Germany. 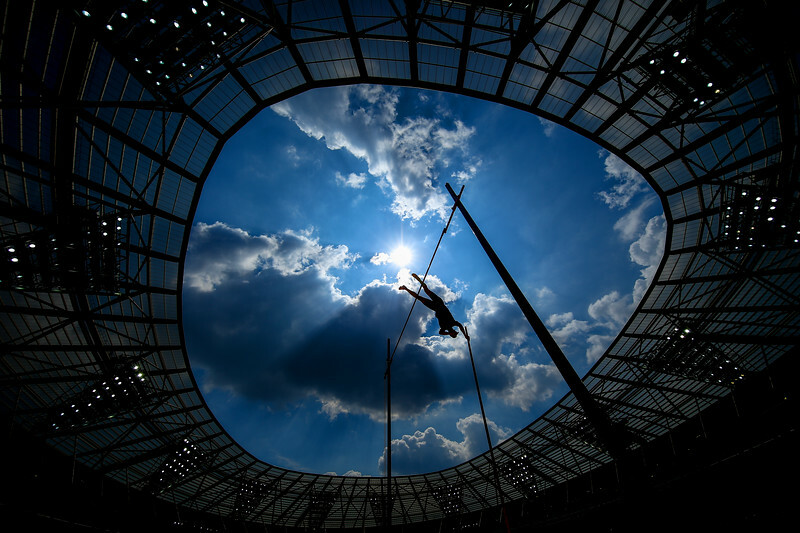 A multiple-exposure of Elizabet Tursynbaeva of Kazakhstan as she performs during the Women's Free Skating on Day 3 of the ISU World Junior Figure Skating Championships at Tondiraba Ice Arena on March 6, 2015 in Tallinn, Estonia. 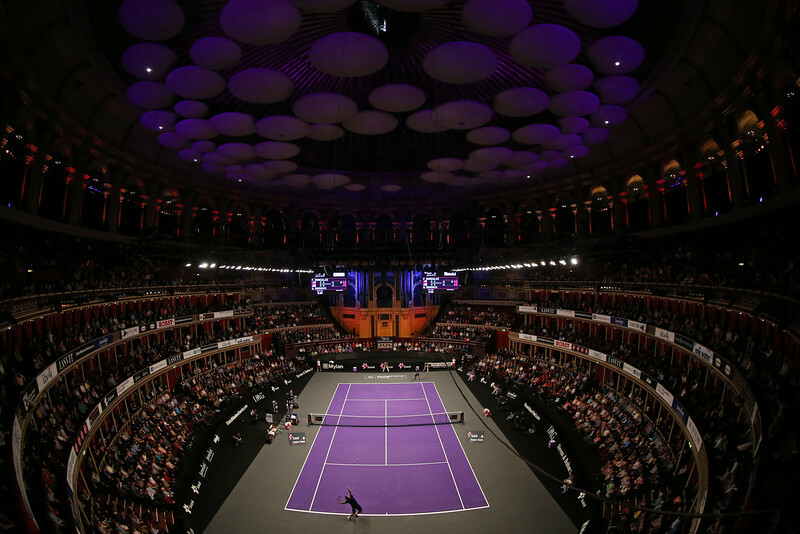 A general view of the ATP Champions Tour Final match between Fernando Gonzalez of Chile and Andy Roddick of the USA during day five of the Statoil Masters Tennis at the Royal Albert Hall on December 7, 2014 in London, England. 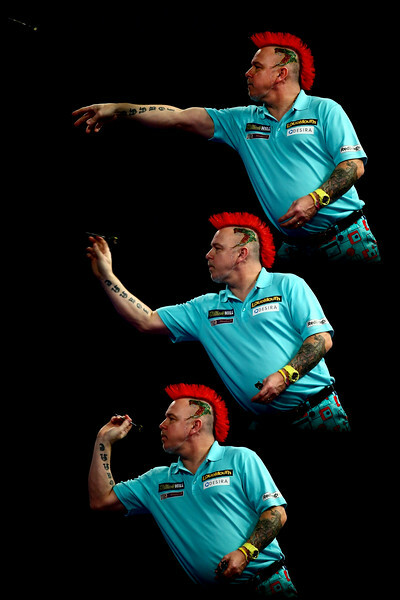 A multiple-exposure of Peter Wright of Scotland in action during the 2016 William Hill PDC World Darts Championships at Alexandra Palace in London, England. 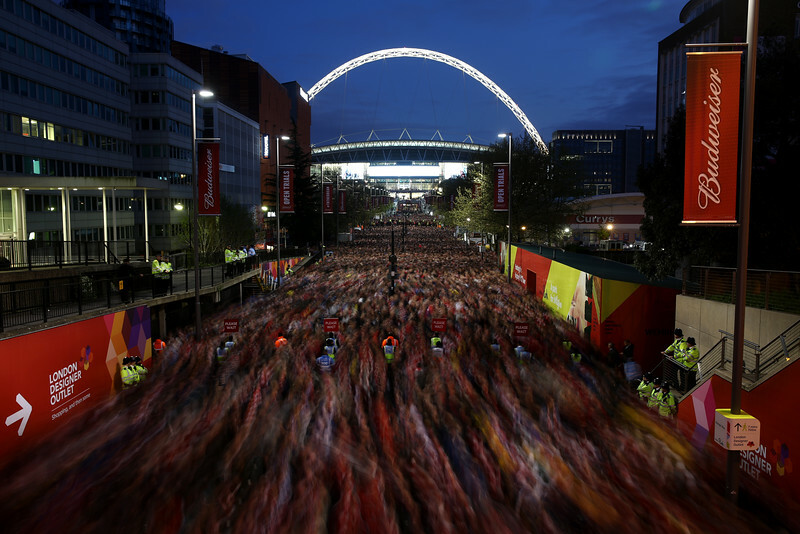 Fans leave the stadium down Wembley Way after the FA Cup Semi-Final match between Wigan Athletic and Arsenal at Wembley Stadium on April 12, 2014 in London, England. 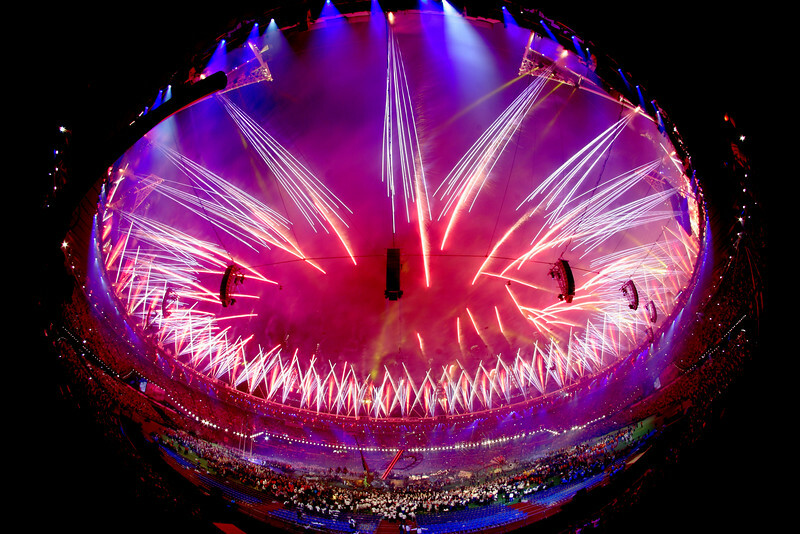 Fireworks light up the stadium during the closing ceremony on day 11 of the London 2012 Paralympic Games at Olympic Stadium on September 9, 2012 in London, England.